Thalia’s Umbrella production of Sorry by Richard Nelson. Jeanne Paulsen (Barbara), Leslie Law (Jane), Macall Gordon (Marian), Terry Edward Moore (Richard), and William Hall Jr (Benjamin). Photo by Alabastro Photography. 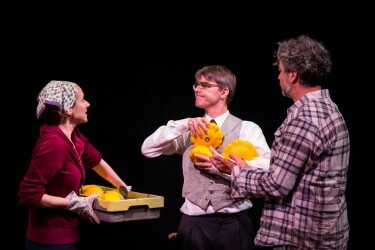 Written by the critically-acclaimed playwright and Tony award winning librettist, Richard Nelson, Sorry the third part of the Apple Family Triology, produced by Thalia’s Umbrella, opened at 12th Ave Arts, this past weekend. 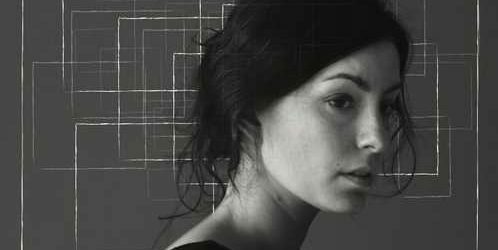 With a stellar cast, composed of some of my favorite Seattle actors, as well as a highly capable director and technical staff, the play was definitely not the thing. It is difficult to find the words to express how great 9 Circles was!!!!!. Playing at 12th Ave Arts, produced by Strawberry Theatre Workshop, directed by Grey Carter, from a divinely inspired script by Father Bill Cain, S.J., with an exceptionally stellar cast, it was far more than just a good show. It was a spiritually uplifting EXPERIENCE which one rarely has in theatre or indeed in life. 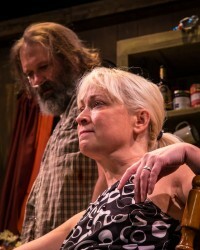 Theatre 22 mounts a sensitive and touching production of the one-act play Annapurna featuring two local talents: John Q. Smith and Teri Lazzara. Sharr White’s work debuted in LA in 2014 and has already had a Broadway run starring Ned Offerman and Megan Mullally. 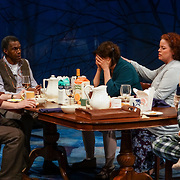 White writes of a long separated couple coming to terms with their individual pasts and each other. Hard truths are faced, old disputes are replayed, new fears arise and yet a grudging love and respect somehow emerge by the final blackout. The two-person piece is skillfully performed and deftly directed by Julie Beckman.